Earlier this month I was amazed to see the new paper by Cerda et al. (2012), “Extreme postcranial pneumaticity in sauropod dinosaurs from South America.” The title is dramatic, but the paper delivers the promised extremeness in spades. Almost every figure in the paper is a gobsmacker, starting with Figure 1, which shows pneumatic foramina and cavities in the middle and even distal caudals of Rocasaurus, Neuquensaurus, and Saltasaurus. This is most welcome. Since the 1990s there have been reports of saltasaurs with “spongy bone” in their tail vertebrae, but it hasn’t been clear until now whether that “spongy bone” meant pneumatic air cells or just normal marrow-filled trabecular bone. The answer is air cells, loads of ’em, way farther down the tail than I expected. Caudal pneumaticity in diplodocines. Top, transverse cross-section through an anterior caudal of Tornieria, from Janensch (1947: fig. 9). Bottom, caudals of Diplodocus, from Osborn (1899: fig. 13). Here’s why this is awesome. Lateral fossae occur in the proximal caudals of lots of neosauropods, maybe most, but only a few taxa go in for really invasive caudal pneumaticity with big internal chambers. In fact, the only other sauropod clade with such extensive pneumaticity so far down the tail are the diplodocines, including Diplodocus, Barosaurus, and Tornieria. 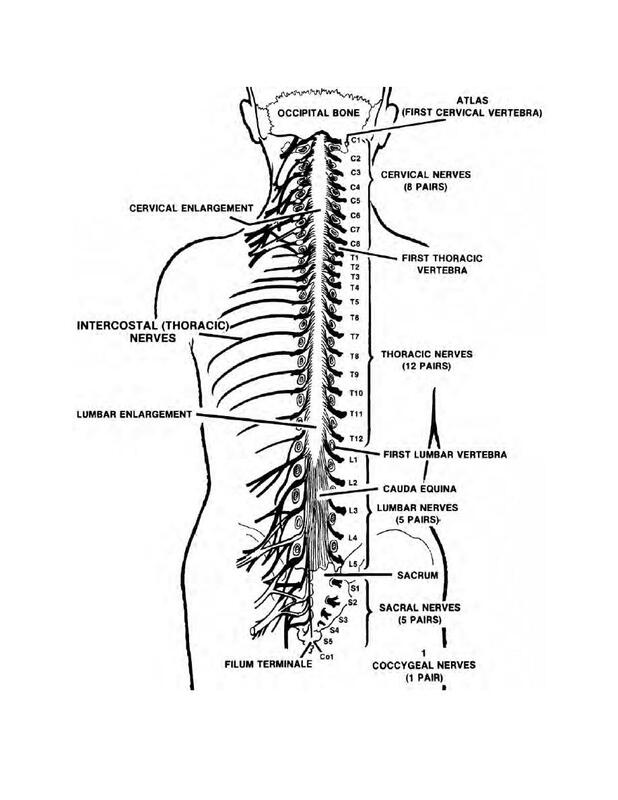 But they do things differently, with BIG, “pleurocoel”-type foramina on the lateral surfaces of the centra, leading to BIG–but simple–camerae inside, and vertebral cross-sections that look like I-beams. 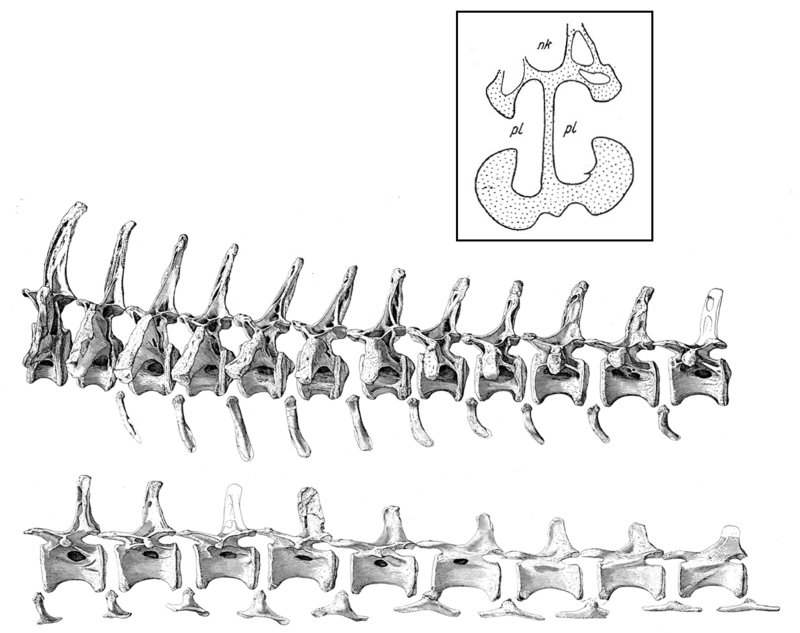 In contrast, the saltasaurines have numerous small foramina on the centrum and neural arch that lead to complexes of small pneumatic camellae, giving their vertebrae honeycomb cross-sections. So caudal pneumaticity in diplodocines and saltsaurines is convergent in its presence and extent but clade-specific in its development. Pneumaticity doesn’t get much cooler than that. Pneumatic ilia in saltasaurines. Cerda et al. (2012: fig. 3). But it does get a little cooler. Because the stuff in the rest of the paper is even more mind-blowing. Cerda et al. (2012) go on to describe and illustrate–compellingly, with photos–pneumatic cavities in the ilia, scapulae, and coracoids of saltasaurines. And, crucially, these cavities are connected to the outside by pneumatic foramina. This is important. Chambers have been reported in the ilia of several sauropods, mostly somphospondyls but also in the diplodocoid Amazonsaurus. But it hasn’t been clear until now whether those chambers connected to the outside. No patent foramen, no pneumaticity. It seemed unlikely that these sauropods had big marrow-filled vacuities in their ilia–as far as I know, all of the non-pneumatic ilia out there in Tetrapoda are filled with trabecular bone, and big open marrow spaces only occur in the long bones of the limbs. And, as I noted in my 2009 paper, the phylogenetic distribution of iliac chambers is consistent with pneumaticity, in that the chambers are only found in those sauropods that already have sacral pneumaticity (showing that pneumatic diverticula were already loose in their rear ends). But it’s nice to have confirmation. So, the pneumatic ilia in Rocasaurus, Neuquensaurus, and Saltasaurus are cool because they suggest that all the other big chambers in sauropod ilia were pneumatic as well. And for those of you keeping score at home, that’s another parallel acquisition in Diplodocoidea and Somphospondyli (given the apparent absence of iliac chambers in Camarasaurus and the brachiosaurids, although maybe we should bust open a few brachiosaur ilia just to be sure*). ** Seriously, though, if you “drop” one and find some chambers, call me! Pectoral pneumaticity in saltasaurines. Cerda et al. (2012: fig. 2). But that’s not all. The possibility of pneumatic ilia has been floating around for a while now, and most of us who were aware of the iliac chambers in sauropods probably assumed that eventually someone would find the specimens that would show that they were pneumatic. At least, that was my assumption, and as far as I know no-one ever floated an alternative hypothesis to explain the chambers. But I certainly did not expect pneumaticity in the shoulder girdle. And yet there they are: chambers with associated foramina in the scap and coracoid of Saltasaurus and in the coracoid of Neuquensaurus. Wacky. And extremely important, because this is the first evidence that sauropods had clavicular air sacs like those of theropods and pterosaurs. So either all three clades evolved a shedload of air sacs independently, or the basic layout of the avian respiratory system was already present in the ancestral ornithodiran. I know where I’d put my money. There’s loads more interesting stuff to talk about, like the fact that the ultra-pneumatic saltasaurines are among the smallest sauropods, or the way that fossae and camerae are evolutionary antecedent to camellae in the vertebrae of sauropods, so maybe we should start looking for fossae and camerae in the girdle bones of other sauropods, or further macroevolutionary parallels in the evolution of pneumaticity in pterosaurs, sauropods, and theropods. Each one of those things could be a blog post or maybe a whole dissertation. But my mind is already thoroughly blown. I’m going to go lie down for a while. Congratulations to Cerda et al. on what is probably the most important paper ever written on sauropod pneumaticity. Janensch, W. 1947. Pneumatizitat bei Wirbeln von Sauropoden und anderen Saurischien. Palaeontographica, Supplement 7, 3:1–25. Osborn, H. F. 1899. A skeleton of Diplodocus. Memoirs of the American Museum of Natural History 1:191–214. Well, this is frustrating. 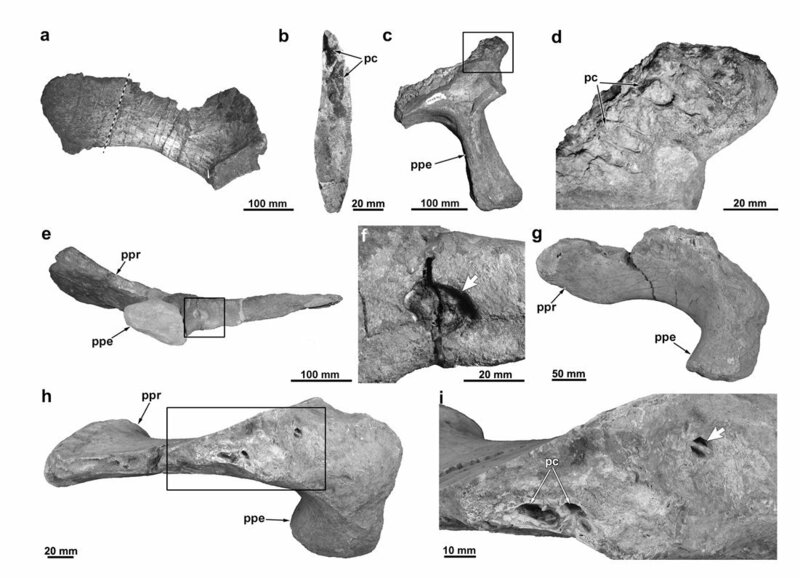 Over on the VRTPALEO mailing list, all the talk at the moment is of the new paper by Henry Galiano and Raimund Albersdörfer (2010), describing their rather comically named new species Amphicoelias brontodiplodocus. And to be fair, the material they’re describing is sensational, and the photographs in the paper are pretty good. There are other things I do want to talk about, but I can’t help feeling that whatever else we cover here at the moment, everyone is going to be thinking “Yes, but what about Amphicoelias brontodiplodocus?” So I don’t think I can go on to write about the things I want to before we’ve at least acknowledged the existence of this paper. And yet, and yet … I have so many problems with this paper, even before we get to the controversial part, namely the conclusion that Diplodocus, Barosaurus, Apatosaurus, Supersaurus, Suuwassea, Tornieria and Eobrontosaurus are all congeneric with Amphicoelias — more precisely, conspecific with the single species Amphicoelias altus. First, and maybe most important, the specimens described in this paper are all privately owned, so whatever conclusions might be gleaned from examining them are not replicable by other scientists. For the Society of Vertebrate Paleontology, that’s a deal-breaker right there (and I am in full agreement). Third, the paper doesn’t seem to have been peer-reviewed: at least, there’s nothing in the acknowledgements that indicates that it was. It doesn’t seem to have been edited in anything like the usual sense either. Fourth, there is mechanical evidence of enormous sloppiness in the composition of the paper. For example, many cited papers are not included in the REFERENCES CITED section, and most of the references that are included are not in fact cited in the paper. As an example, my own Taylor et al. (2009) is cited but not referenced, while Taylor and Naish (2005) is referenced but not cited. Lots of Upchurch papers in the bibliography are never cited. That doesn’t give me confidence about the rest of the work. Likewise, the paper is rife with typos and grammar errors, such as this from page 28: “A. louisae is by far the most widely acclaimed example, and B. excelsus skeleton mounted and exhibited in the Peabody museum. Despite the familiarity of these Apatosaurus specimens various aspects of it [sic] skeleton remain poorly known.” Not a killer, but again it doesn’t give me confidence. “brontodiplodocus” is a stupid name. Against that backdrop, consider the radical taxonomic hypothesis. All Morrison formation diplodocids (and some from elsewhere) are considered to belong to a single species, Amphicoelias altus … except for the new specimens, which belong to the new and separate species A. brontodiplodocus. In other words, we’re being asked to believe that the new specimens are more different from all other Morrison diplodocids than any of them are from each other. And yet we’re brought to this conclusion by the very animals that are apparently not as similar. It’s as though I discovered dogs, and thereby concluded that lions, cheetahs and house-cats are are all the same species. So this is not just a matter of extreme taxonomic lumping: it’s weirder than that. It’s “all the other stuff is just a single species except the one we’ve discovered which is different”. As Tom Holtz is fond of saying, extraordinary claims demand extraordinary evidence. I’m not going to come out and say it’s impossible that all Morrison diplodocids except the new specimens were conspecific. But if I were the one setting out to propose such a heterodox hypothesis, I would do myself every possible favour: I’d do it from properly accessioned specimens in public museums, I’d publish in a recognised peer-reviewed journal, I’d take care to get my nomenclature right, match up my citations and references, and generally dot the i’s and cross the t’s. Until that’s done with this new material, I’m not sure there’s much point in investing a lot more effort in evaluating the phylogenetic/taxonomic claims. Galiano Henry, and Raimund Albersdörfer. 2010. 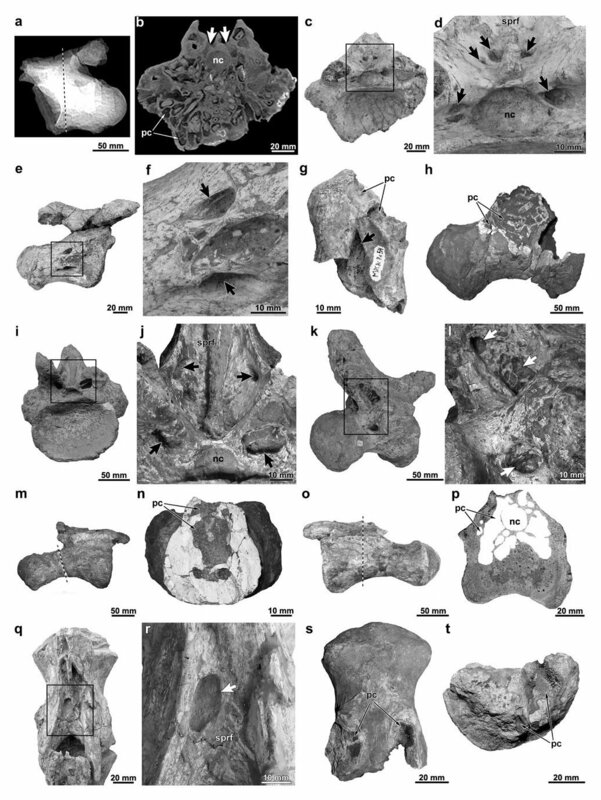 A new basal diplodocid species, Amphicoelias brontodiplodocus from the Morrison Formation, Big Horn Basin, Wyoming, with taxonomic reevaluation of Diplodocus, Apatosaurus and other genera. Dinosauria International, LLC, Wyoming. 50 pages. Taylor, Michael P. and Darren Naish. 2005. The phylogenetic taxonomy of Diplodocoidea (Dinosauria: Sauropoda). PaleoBios 25(2): 1-7. For various arcane reasons, the SV-POW!sketeers are all neck-deep in work, so the blog may actually become somewhat more of the APOD-style picture-n-paragraph thing we originally envisioned, and less of the TetZoo-style monograph-of-the-week thing it’s often leaned toward, at least for a while. 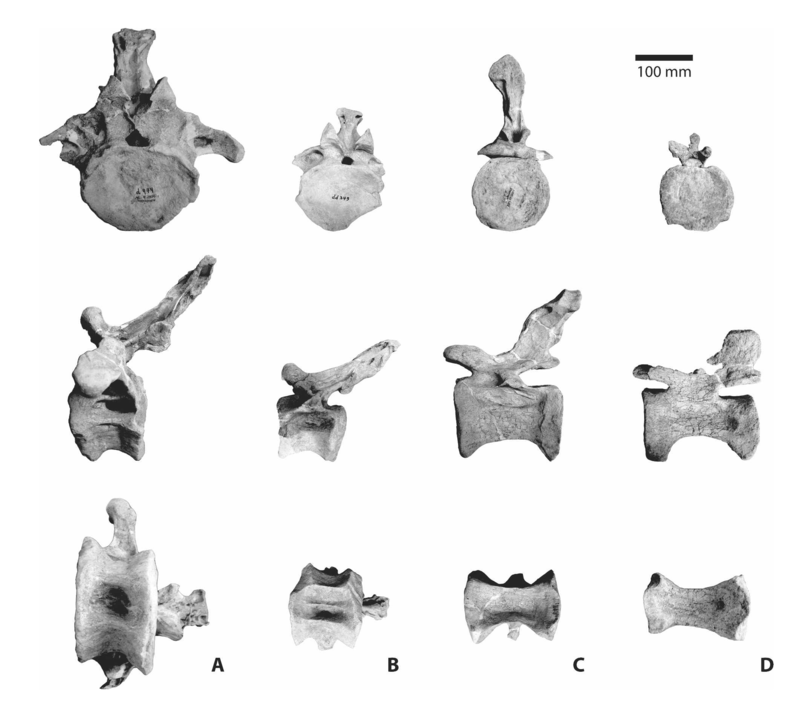 I like it when people decorate their papers with megapixels of vertebral goodness, so here are some caudal vertebrae of the African diplodocine Tornieria, from Remes (2006:fig. 5). Click through to see the figure at its massive native resolution. And check out that pneumaticity! Really, the only question about this image is whether you can settle for just using it as your desktop background, or if you need to print out a wall-sized poster for your bedroom. So the next time you see Kristian Remes, buy him a beer for doing solid work here, on the Humbolt sauropod remount, and on pretty much everything else (including this). Remes, K. 2006. Revision of the Tendaguru sauropod Tornieria africana (Fraas) and its relevance for sauropod paleobiogeography. 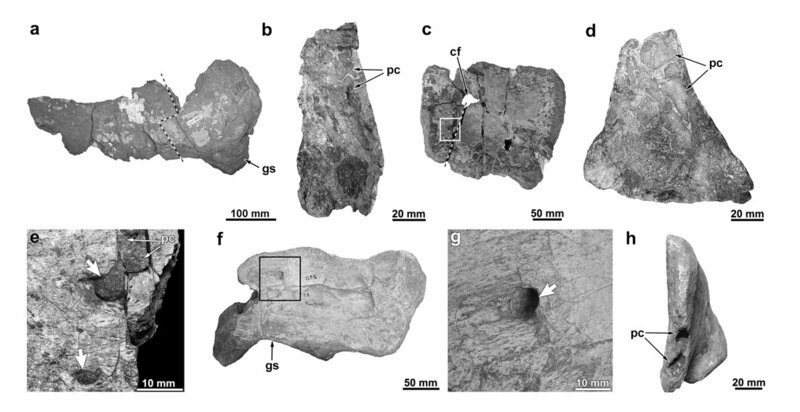 Journal of Vertebrate Paleontology 26 (3): 651–669.